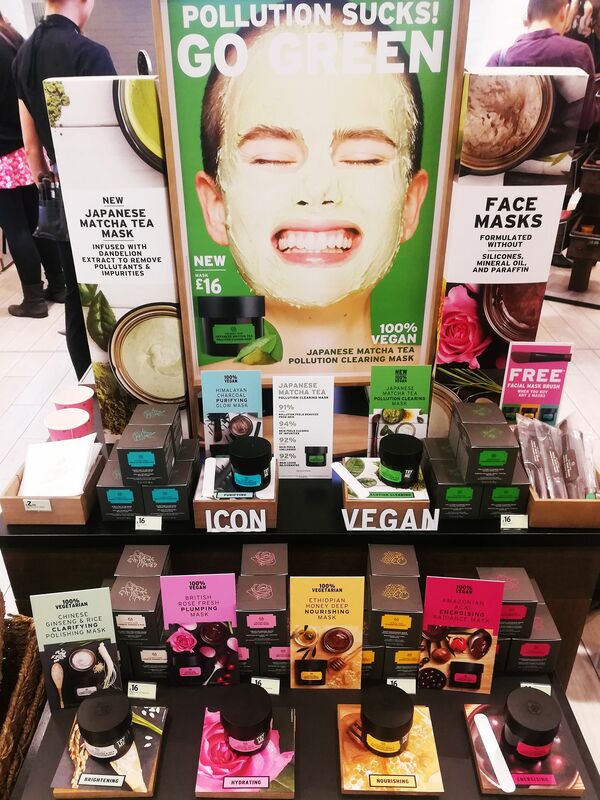 When I was a kid, The Body Shop was one of those ubiquitous brands that you only ever got at Christmas, when a distant aunt gave you a gift set including bath pearls, soaps shaped like elephants and a strawberry shower gel. Oh, and white musk! Through my teens and twenties, TBS kind of dropped off my radar altogether. My local branch shut down and it was one of those shops I would never make a special effort to go to. 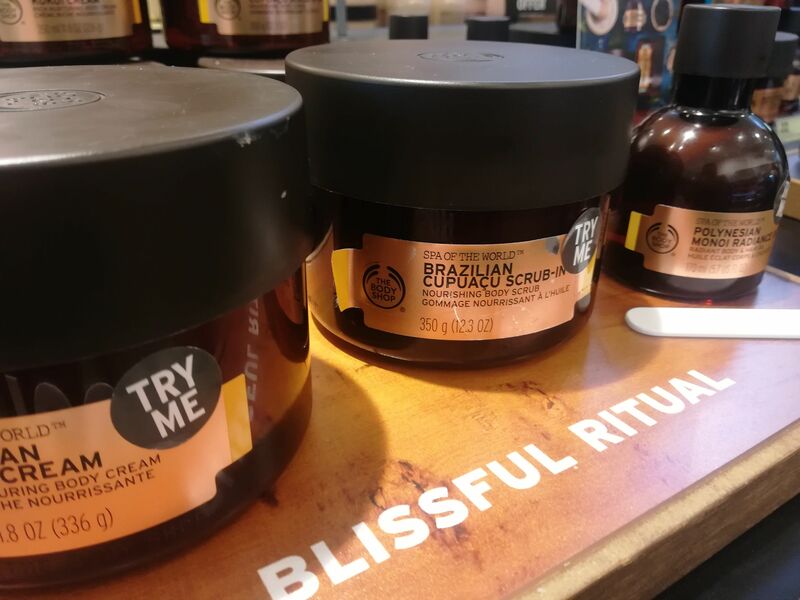 Then, over the last year or so, slowly I began to be more and more aware and intrigued by The Body Shop products on offer. I placed an online order in the sale for a Tea Tree face mask and a shower gel (passionfruit, not strawberry). Then I won a goody bag in a Twitter chat which introduced me to loads of other lovely products that I hadn’t tried before – facial oils, sleeping masks and shampoos to name but a few. I began to realise that I really liked The Body Shop products. And I wanted more!!! So, when I saw a Facebook post from Jay (Comic Books and Yellow Ducks) looking for Nottingham bloggers who wanted to attend an event at The Body Shop, Bridlesmith Gate, I was right in there. I hadn’t set foot inside an actual TBS for some time, so I was very excited to see what I might have been missing out on. On arrival at the shop, we were greeted by a drink and some chocolates (always appreciated) and then given a quick introduction to the brand and it’s ethics. I am most definitely not a cruelty free blogger, more out of laziness than any ethical decision. I know that the topic of Cruelty free cosmetics is incredibly tricky. 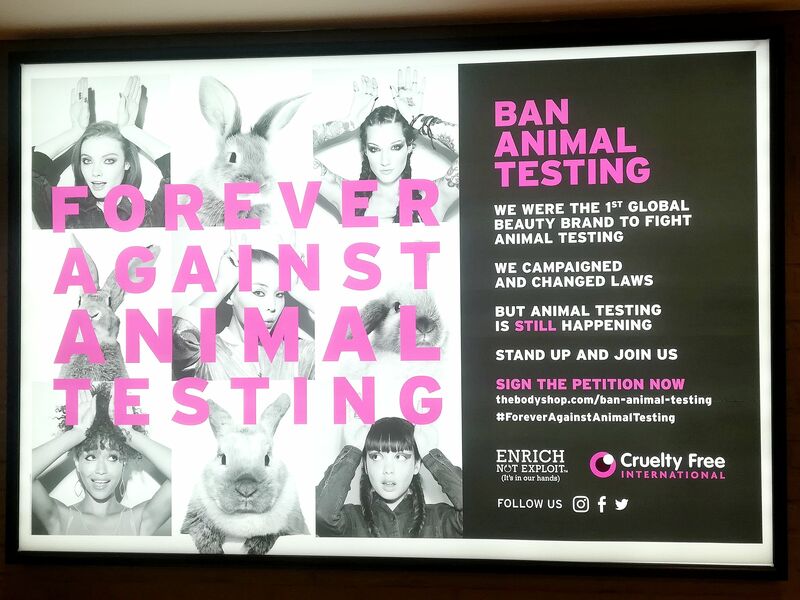 There are certain inconsistencies with what people class as cruelty free, such as when the overall product isn’t but one ingredient is, or when a product isn’t tested on animals in the UK, but might be in other countries. I find it all a bit complex and brutally, I care, but just not enough. I tend to pick my products on what works, and more importantly, what I can afford. It would be far simpler for me in the long run if animal testing was banned full stop. 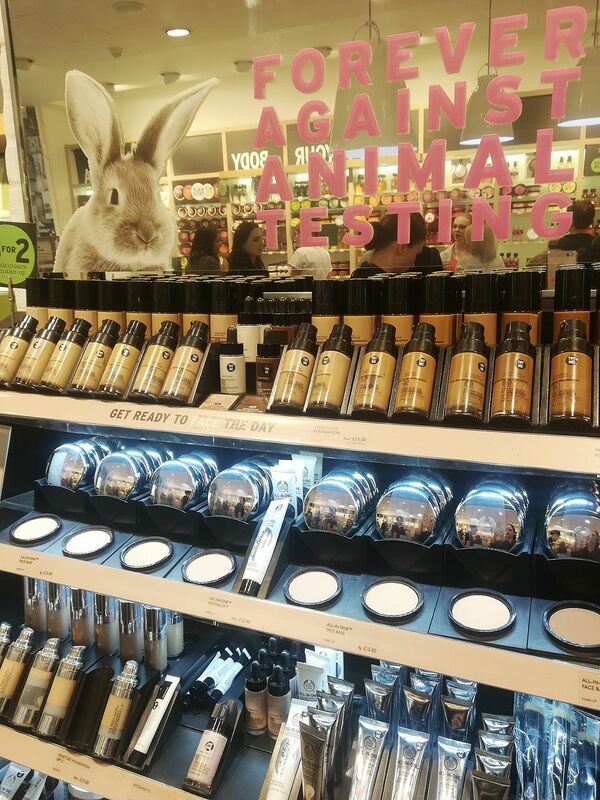 That’s why I was particularly interested to hear about The Body Shop’s Ban Animal Testing campaign, where they are trying to get 8 million signatures to take to the UN General Assembly to try and get a complete ban, for good. I, of course, added my name to the petition and hope one day there will be no choice BUT to be cruelty free. As it should be, if we’re honest. The evening wasn’t all politics and ethics though (not that there’s anything wrong with that). We were all given the opportunity to have a look at all of the fabulous product ranges and some people even got to sample some of them. I spent a good long time chatting to David (I hope I got the name right) about all of the new make-up products that were available. They were certainly attracting a lot of interest from the beauty bloggers in the room and David gave us all of his recommendations – one of which I ended up buying but I’ll get to that later. As a thank you for attending the event we were offered 40% off anything we purchased on the evening. I hadn’t planned on buying anything but at that price I couldn’t resist picking up a couple of items. First up, I bought a new bottle of my favourite Ginger shampoo (that’s ginger-scented, not for ginger hair) It’s an anti-dandruff shampoo and was one of the items in the goody bag I won. I swear my hair has never felt cleaner and I loved it so I was very excited to get some more. 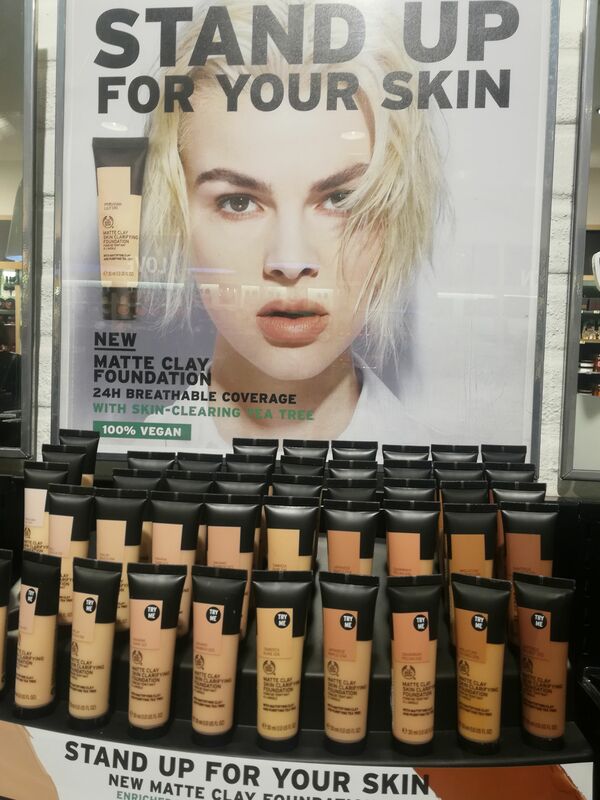 Next up was their new Matte Clay Foundation, which had been highly recommended by David. It contains tea tree for skin clearing and at £10, is just about the right price I’d want to spend on foundation. I’ve used it a few times and my first impressions are mostly positive. It’s not as heavy coverage as I would normally like but I could build it up and it is definitely breathable. My skin feels lovely when I’m wearing it. I’m not sure I’ve noticed any skin clearing effects yet, but maybe time will tell. With my purchase I was also given a few samples, including some of their new face masks which I can’t wait to try. I do love a good face mask! I also got to try a tiny bit of their upcoming Vanilla Pumpkin body butter. The smell is incredible – I wanted to lick my arm! I can’t wait to pick some up next time I’m in store. 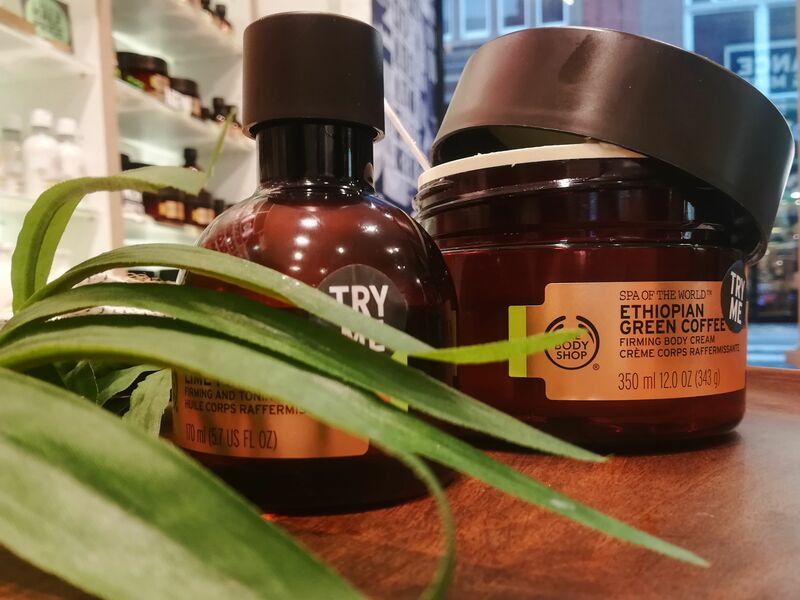 I had a wonderful evening at The Body Shop and it’s only helped to increase my growing love for the brand. Thanks so much to Jay for inviting me along and to all the staff at The Body Shop, Bridlesmith Gate for being so helpful and welcoming. 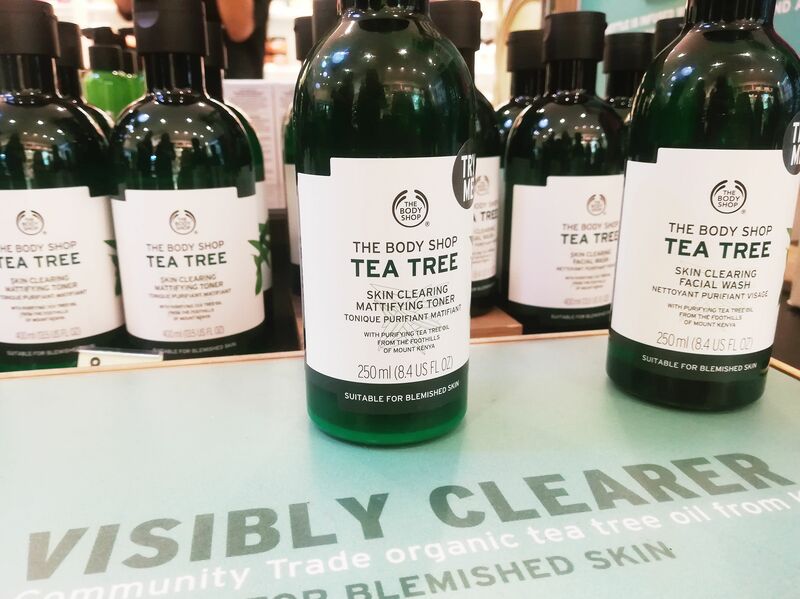 This entry was posted in Beauty and tagged Cruelty Free, event, skincare, the body shop.